With great distance and high-accuracy - The RL-H5A is a next generation self-leveling construction laser. - Long-range operation (800 m) - Smart long-range receiver - Simple, intuitive manual slope capability - ±10 Arc second horizontal accuracy - Extra-long battery life (100 hours) - Tough IP66 weatherproof rating Alkaline Battery Model 1021200-07. Laser product 2.4mW and class IIIa. BACKED BY 5 YR WARRANTY: The RL-H5A laser comes with a Five-Year Guarantee. 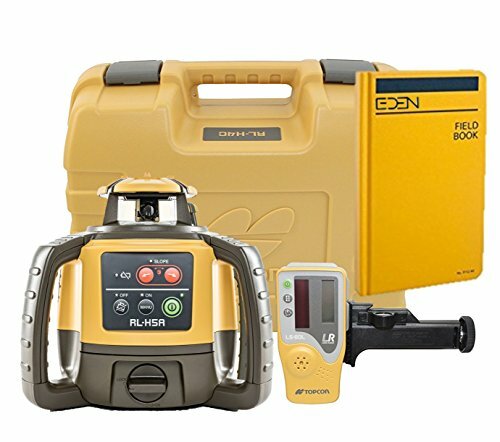 Topcon is backing up this reliable, accurate laser with the best factory warranty in the industry. If you have any questions about this product by TOPCON, contact us by completing and submitting the form below. If you are looking for a specif part number, please include it with your message.